For a trouble-free move to Suisun City, Meathead Movers is the company for you! Our professionally trained student-athlete movers are ready to get you into your new Suisun City home. Welcome to Meathead Movers of Suisun City! If you are moving to or from anywhere in Suisun City, we are the moving company for you! Our professionally trained student-athlete movers and our moving concierge service are here to help you with every stage of your move in Suisun City. Located in Northern California, Suisun City is a beautiful waterfront town with a little Cape Cod charm. It’s beautiful waterfront promenade and historic waterfront district make Suisun City a scenic and serene town. From outdoor recreation and water sports to fine dining and shopping, there is always something to keep you entertained in Suisun City. For the adventurer, Suisun Bay is perfect for kayaking, hiking, fishing, or even bird watching. You can also catch a show at the Suisun Harbor Theater, view unique art at Lawler House Gallery, golf at any one of the city’s nine golf courses, or create family memories at Scandia Family Fun center. 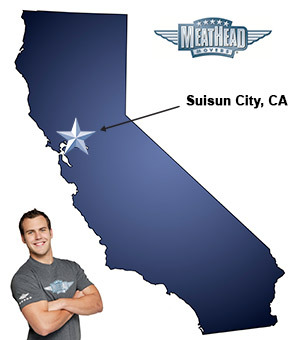 If you are considering a move to Suisun City, Meathead Movers is here to help! Our moving company specializes in local, long distance, and commercial moves to, from, and within Suisun City. We also provide reliable packing, storage, on-site relocations, and our distinctive moving concierge service, which connects you with local service providers. All our student-athlete movers are thoroughly screened and trained before their very first move. With branches not just in Suisun City, but all throughout California, we are your one-stop resource for all your moving needs, no matter where your California move takes you. In fact, you can see what your neighbors in Suisun City have to say about us! We are so confident in our services, that we even offer a 100% satisfaction guarantee! So, what do you have to lose? Contact Meathead Movers today for a free no-obligation moving quote, and learn how we can help you on your next move! Moving to Suisun City? Here are some helpful resources. View more Suisun City resources.